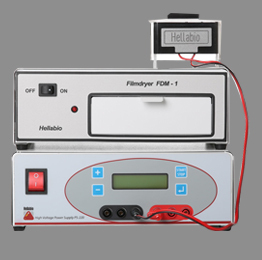 Hellabio Immunofixation Electrophoresis (IFE) kits are intended for in vitro diagnosis of monoclonal paraproteins in human serum and other biological samples. In some pathological cases (multiple myeloma etc) abnormal monoclonal bands appear in electrophorogram. The identification of these monoclonal bands can be done by different immunological techniques such as Immunoelectrophoresis and Immunofixation electrophoresis (IFE). Immunofixation electrophoresis should be performed routinely on specimens with increased β1 or β2 concentrations, especially if there is no obvious reason to account for the increase, e.g. , iron deficiency or increased β-lipoprotein or C3, even if there are no abnormalities in the SPE pattern.